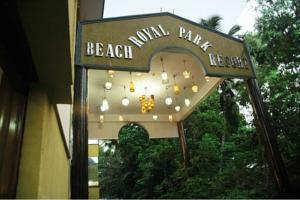 Just a 5-minute drive from Calangute Beach, Royal Park Beach Resort Goa features a spa and outdoor pool. Theme nights with live music are offered. The rooms at Goa Beach Resort Royal Park are furnished in a relaxed and modern Indian style. Each includes a minibar, flat-screen TV with cable channels, and electric kettle. A fully equipped fitness centre faces the pool area. Guests can get a new haircut at the in-hotel salon and then dance the night away at the hotel’s nightclub. Free Wi-Fi is available in public areas. Spice Garden Restaurant offers poolside dining and features fresh seafood and a variety of cuisines. The poolside bar pours a wide variety of cocktails and liquors. A bird watching area is just 1.6 km from the hotel, and Atlantis Water Sports is 5 km away. The town of Panaji is a 25-minute drive. Free! One child under 4 years stays free of charge when using existing beds. One further older child or adult is charged INR 1042 per night and person in an extra bed. Maximum capacity of extra beds in a room is 1. Any type of extra bed or child's cot/crib is upon request and needs to be confirmed by the hotel. Supplements will not be calculated automatically in the total costs and have to be paid separately in the hotel.